A report, pictures and links to more pictures. Also a link to Sid Carr's PowerPoint. 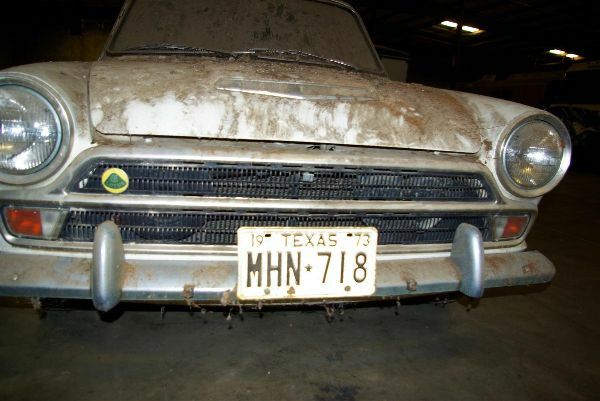 Don Gwynne has helped Charlie Barns resurrect an astonishingly complete, rust-free Lotus Cortina- in need of "good cleaning", languishing in a garage in Texas since 1973. Jost Wildbolz has acquired ex-works CTC14E and it is now in Switzerland! 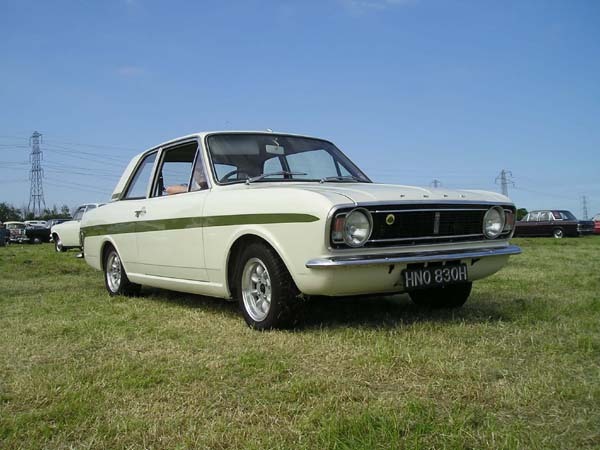 Joe Johnston of Bo'ness, Scotland sent in some pictures of Lotus Cortinas from his past. And... Darryl Beddington read about 467 TUR above, and sent in These pics!. 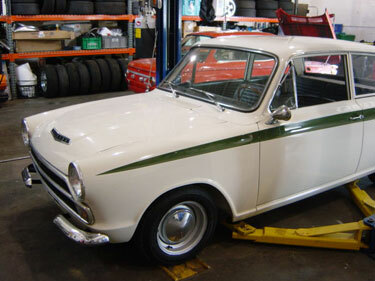 Dan Mooney of Classic Jaguar has undertaken a Lotus Cortina restoration. 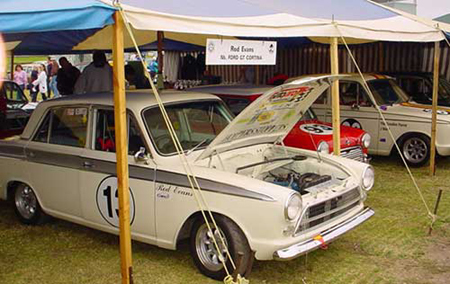 Roger Andriesse briefly drove a stock Lotus Cortina on the track, years ago in Australia. This picture is from last year at Coronado. 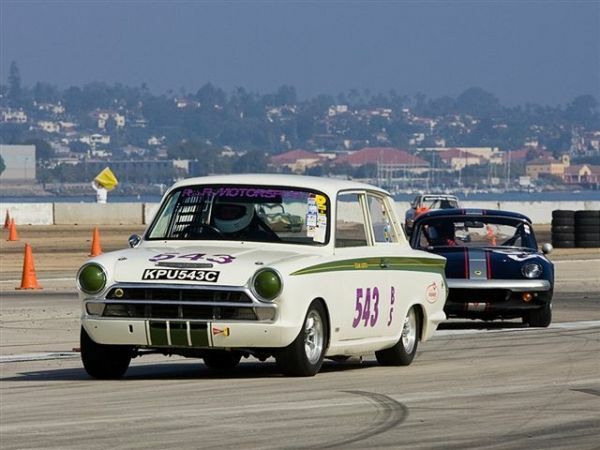 This year, 2010, he is driving his re-built Lotus Cortina at Monterey! 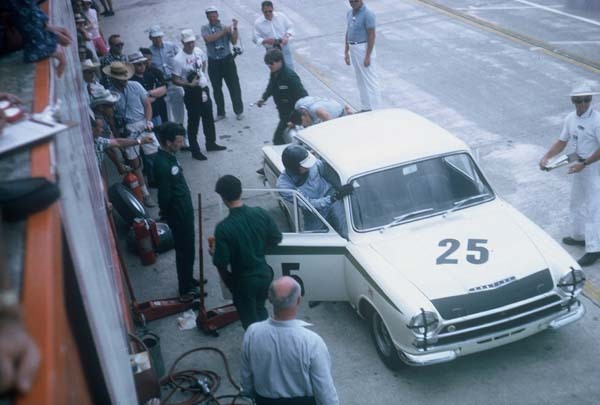 Jim Woods found a few photos of Cortinas at Sebring in his album. 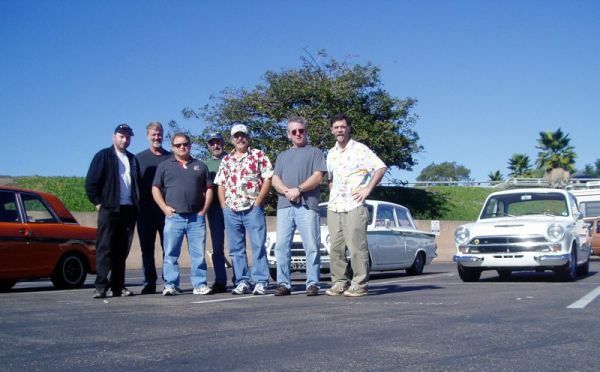 I made a trip to San Diego, California in 2004- and visited with friends, and saw a few Cortinas. 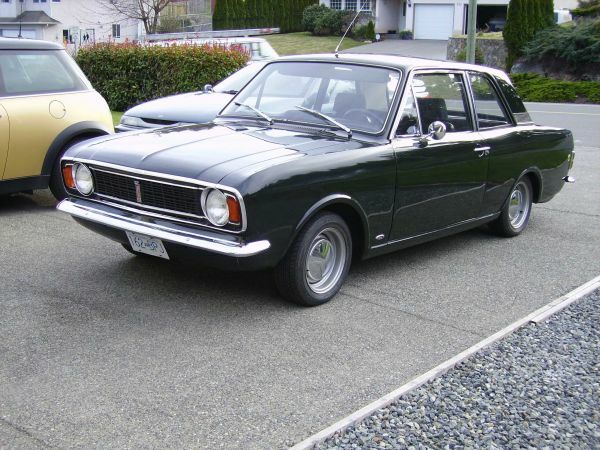 And even more recently, I made a trip to San Francisco, California and traveled down to Laguna Seca- visited with friends, and saw a few Cortinas. 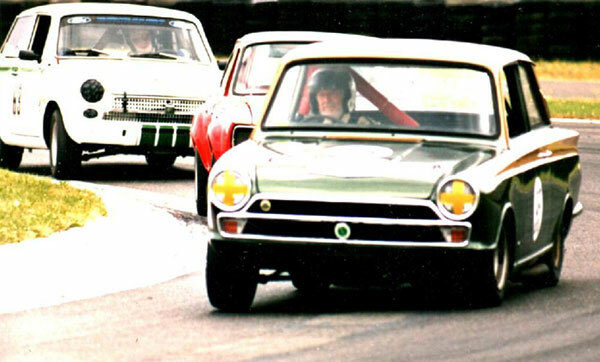 Years ago...Sid Carr lent his photo album to some racers, who photo-copied the pages, and contacted me. (see entry below). 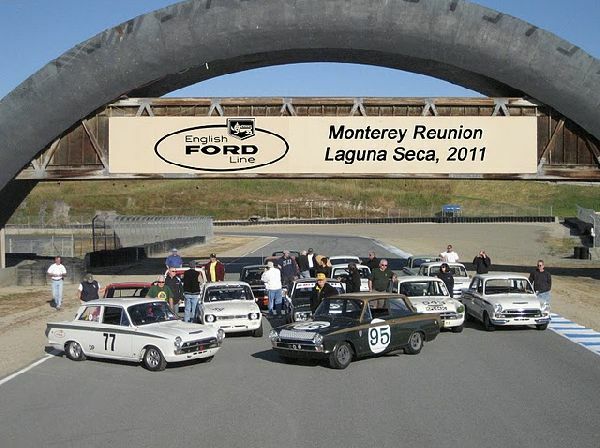 During the winter of 2010-2011, Mike Summers found Sid, and arranged for his presentation to a large and enthusiastic English Ford gathering at Laguna Seca, in April 2011. View Sid's photos with commentary! 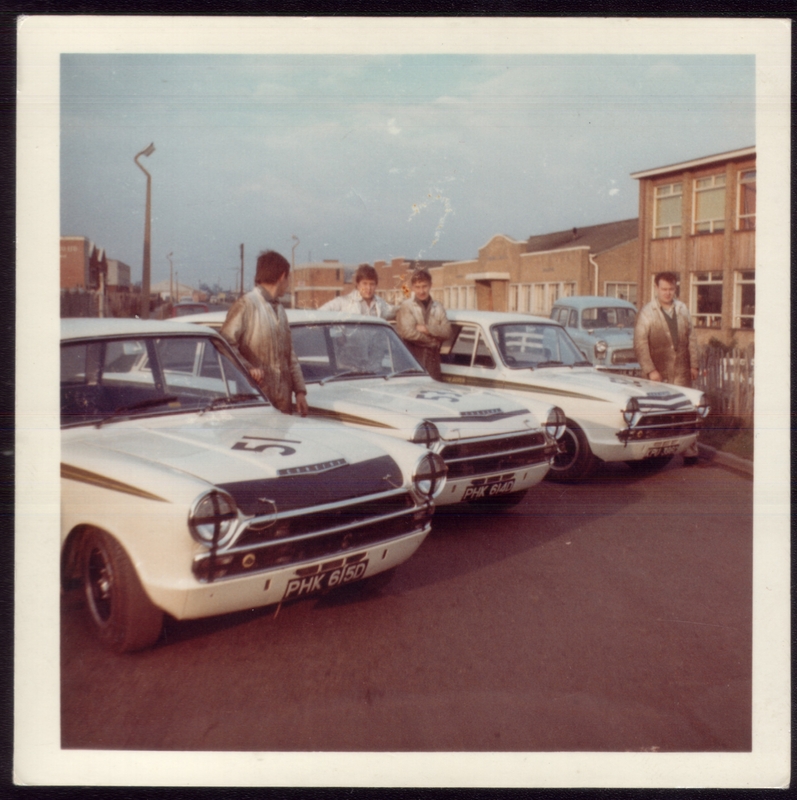 1965 Photo Album of Lotus Cortinas at the Races! 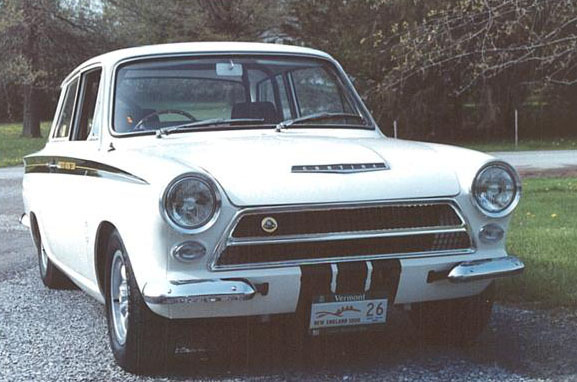 Here's a shot of BA74FL59050 which Eric Brunner purchased new in June of 1966 (last L/C Ford of Canada had in inventory). This picture was taken Summer 2008 just after restoration. 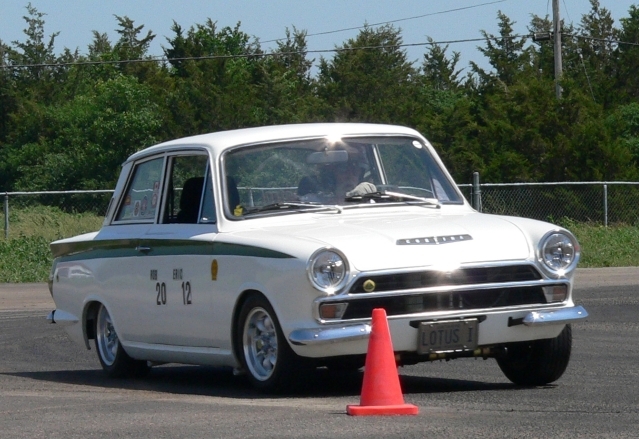 Eric is running a slalom on the skid pad at the Shannonville Motorsport Park, Ontario, Canada. 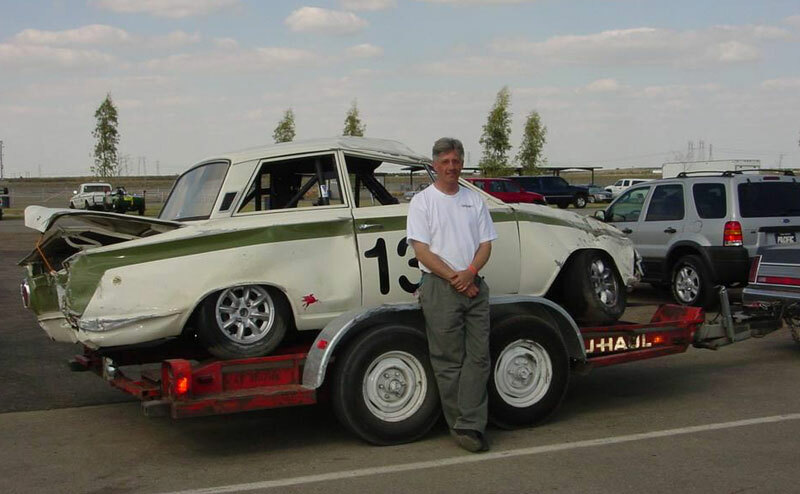 Chris Malone sent a few pictures and text of BA91GD68059, currently located in Medicine Hat, Alberta, shown here with its original steel wheels and hubcaps. 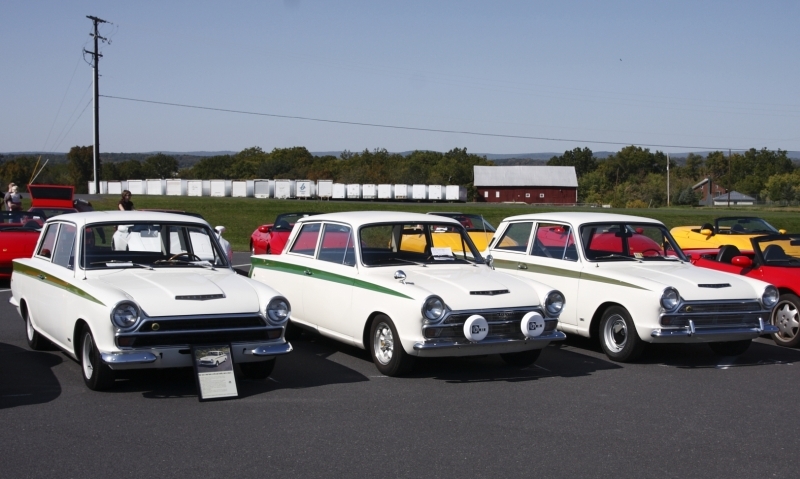 Gary and Sandy David won "Best of Show" with their 1966 Lotus Cortina at the LOG 30 in October, 2010. Photo by Bob Cross. 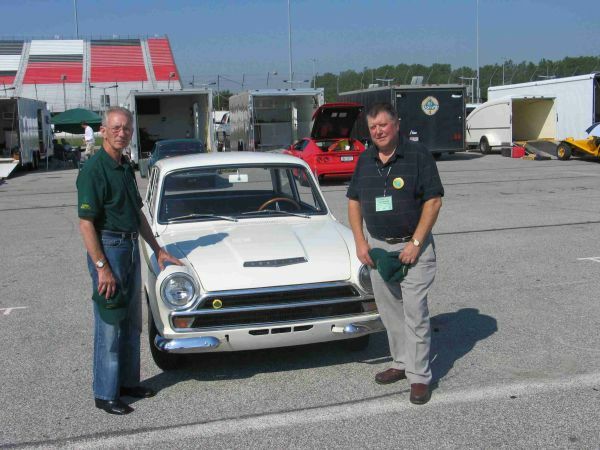 Bob Dance and Bob Sparshot, former Team Lotus mechanics, stand next to Gary David's Lotus Cortina, at a Lotus Owners Gathering, that took place in St. Louis, 2005. Photo by Gordon Morris. 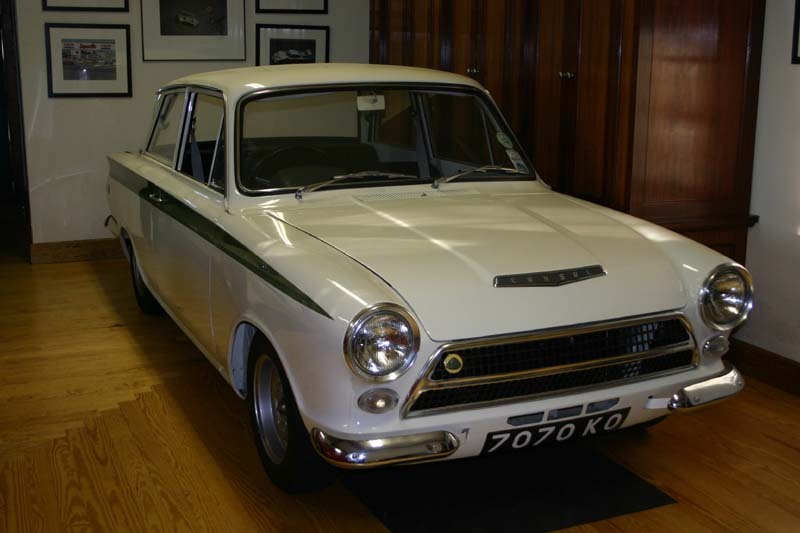 Terry Babbington sold a 1966 4-door GT to purchase this very nice 1970 MKII Lotus Cortina. 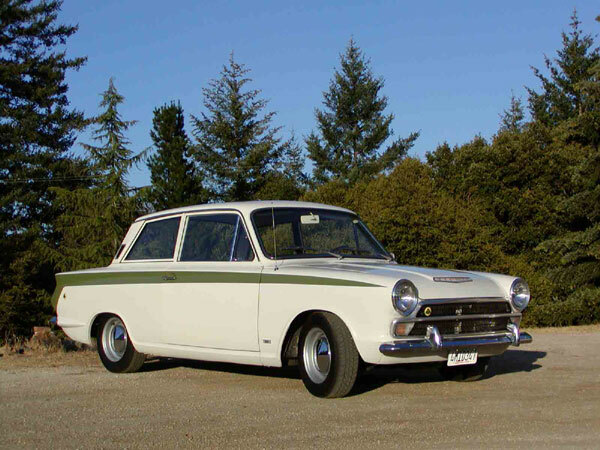 Peter Steilberg of Seattle, Washington, sold an Elan +2 and bought this Lotus Cortina. The pictures are taken indoors in a parking garage, because it was raining out... that's Seattle. 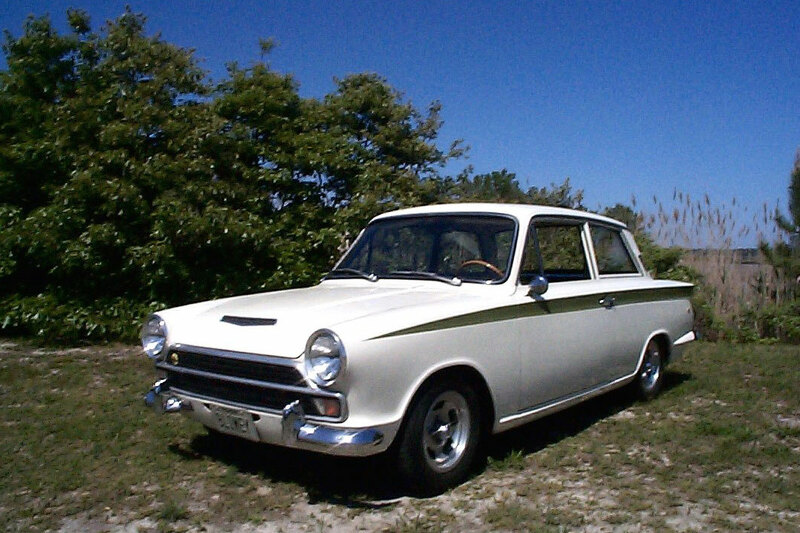 Rich Louderback from Maryland recently sold this 1966 Lotus Cortina rolling shell. 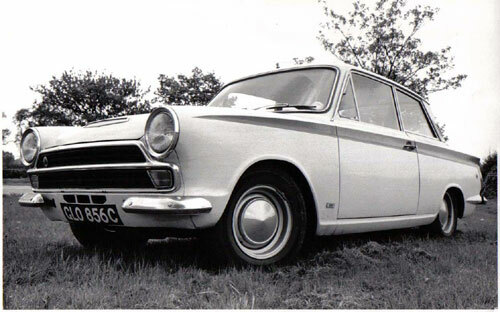 (And I bought the 1966 Deluxe parts car that he also had, to use as a source of body patch-panels for my 1963 Cortina GT). 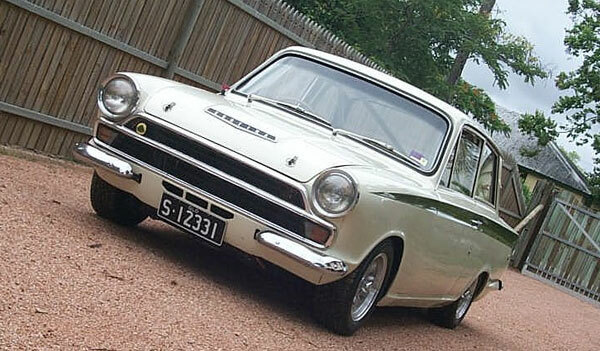 Andrew Costen has purchased this very early 1963 Lotus Cortina, complete with all of its original components! 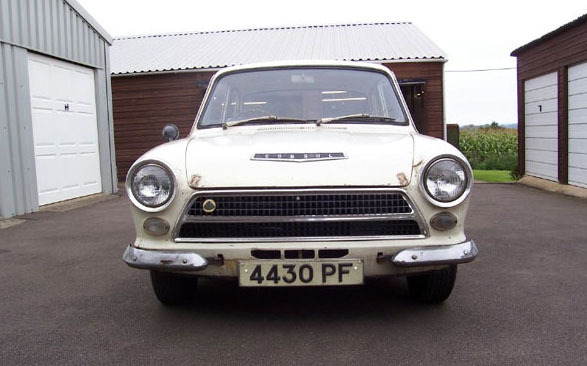 This is NOT what they mean by "airflow ventilation" in a Lotus Cortina... Peter Pentz wanted an early car to restore, and is now hard at work bringing this one back to original condition. 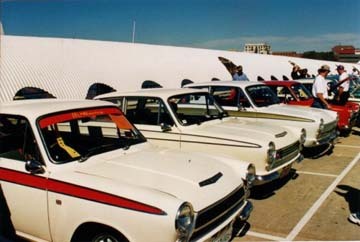 Martin Sage found this site, thought of his old GL0 856C Lotus Cortina, and found a few old black and white photos and memories. 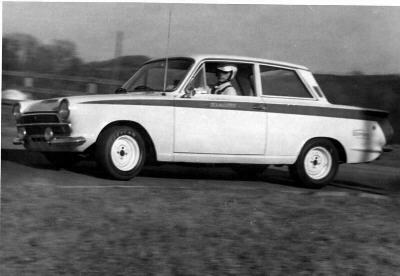 Don Gwynne sent a few pictures from his racing days in 1968-1971. Read about it, and see the pictures! 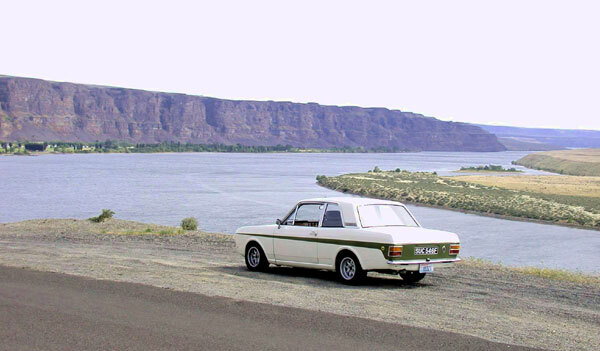 "This photo was taken by the Columbia River, in the eastern part of the state of Washington, USA. 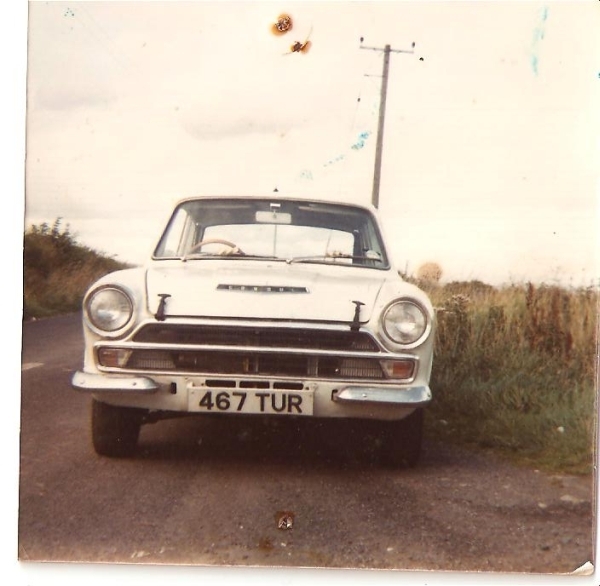 The registration plate SUC546F this 1967 MKII still bears, is the original UK license plate with the newer Washington state plate overlay-ed." "L/C BA91GS06014 was purchased in west Sussex in the UK as a rolling (rusty) shell, in 1996. 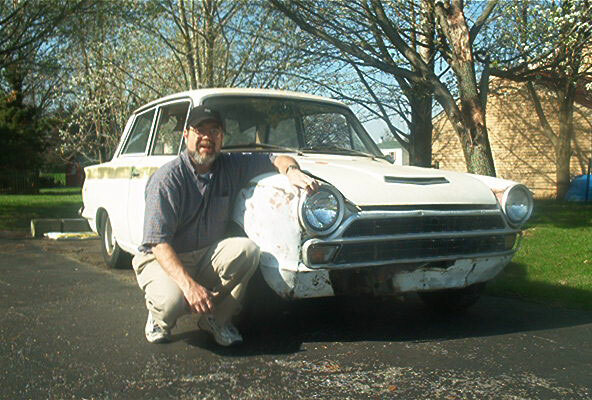 When I got the vehicle back home and in the garage it was a bogged total wreck. I had just two choices, scrap it or re-shell it. 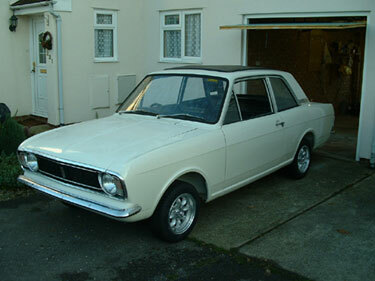 I chose the latter, and found a fairly good but not perfect 2 door, GT (I think) shell of similar year. I swapped all the suspension and wings, front were very good condition, and upgraded the front disks to 4 pot caliper. I had a good original interior, installed a new head-liner, and upgraded the front seats with early Ricaros. 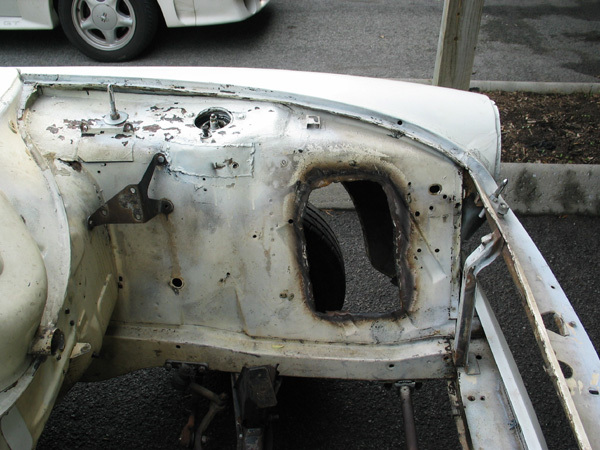 The shell was repainted, but the engine bay is very poor. 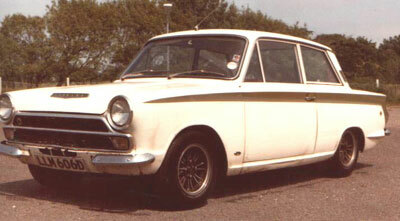 The twin cam has been rebuilt but not installed yet. I run it around now on a 1600 cross flow. The mini-lite mag wheels 13"x 6" are original. The vehicle is not perfect but very serviceable." 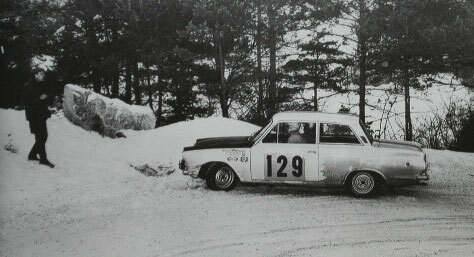 Roy Oosten from Hattem, the Netherlands, is researching 2 cars driven in the 1967 Monte Carlo Rally, car number 129 (pictured above, left) driven by Delalande / Metayer, and car number 131 (above, right) which was driven by Greder / Vigneron. As the cars look identical, they were probably a team effort, most likely from France. If anyone has any more information about these cars, drivers or team efforts, or possibly knows of any other books with more information about them, please contact Roy. 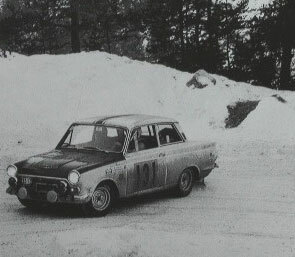 Both of the photographs above are scanned images from a book "Le Rallye Monte-Carlo au XXe Siècle" by Maurice Louche. 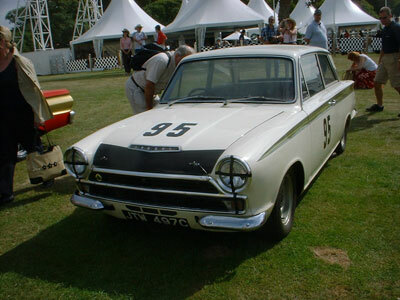 Stewart Frith sent me these images of a Lotus Cortina raced by Jim Clark, on display July 11th 2003 at Goodwood Festival of Speed, Sussex, England. 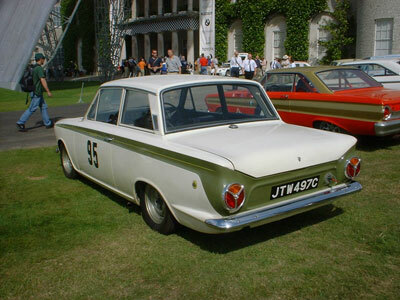 The event was run by The Earl of March at Goodwood House, as part of the "100 Years of Ford" celebrations. Z74D424157 formerly located in Boston, Massachusetts. 7070ko also, recently located near Boston, Massachusetts. BA74FU59604 was in Kansas for a while! Now somewhere else? 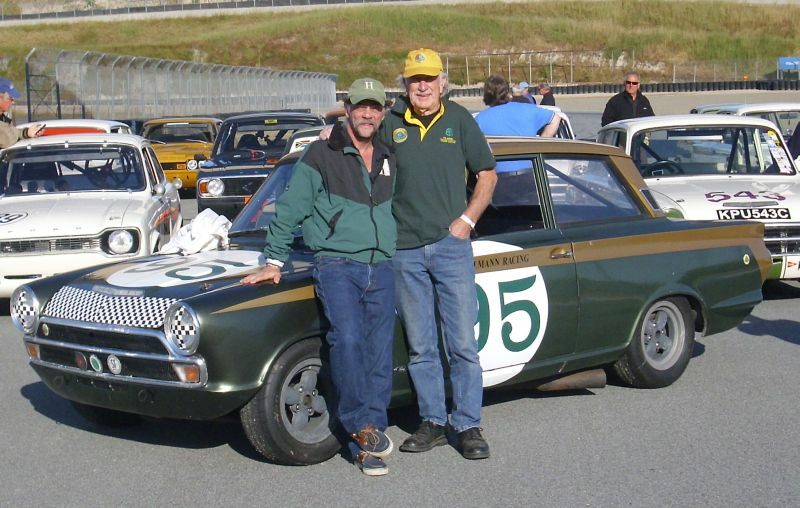 Radek Prikryl from Brno, Czech Republic sent me a few pictures of his family's recently re-built MKI Cortina. 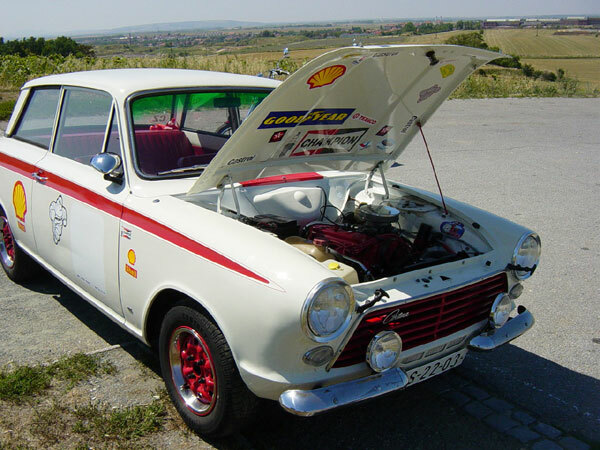 While not a Lotus Cortina, it has a pretty powerful SOHC Ford engine in place. Click the image above to read more, and see more pictures. Andy W. has an amazing find in the Philippines! 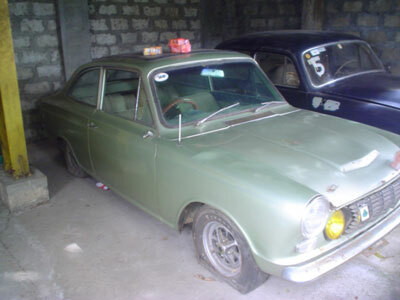 Read about this Ogle GT! 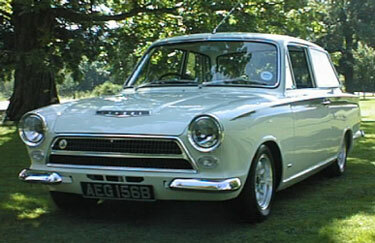 While not exactly a Lotus Cortina either, it is Lotus Twin-cam Powered, and Very Cool!!! 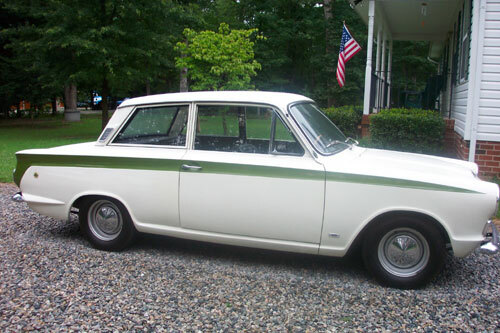 Tom Carter of Millsboro, Delaware sent this picture of his "Blimey" tagged Lotus Cortina, and a brief description. 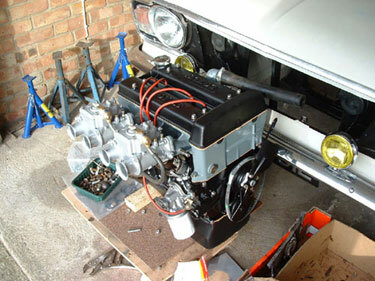 Ray Lavidge sent along these images of his newly rebuilt engine, about to be re-installed, and of the car, a 1967 Series I MKII Lotus Cortina. 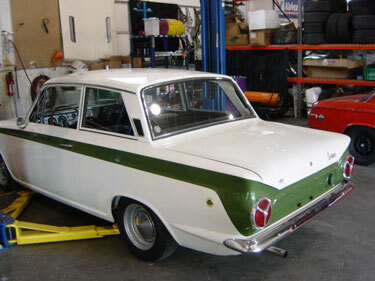 Lotus Cortina shell formerly in Ohio, now on the West Coast. 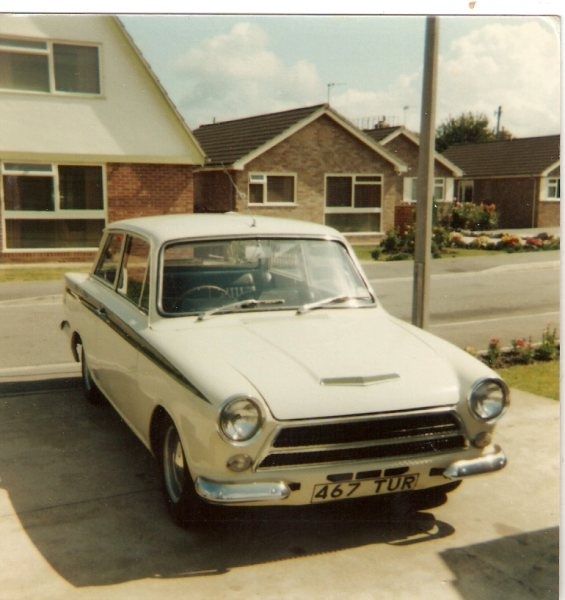 A Reminiscence of LLM 606D sent in by Bob Hewitt of Rhyl, North Wales. 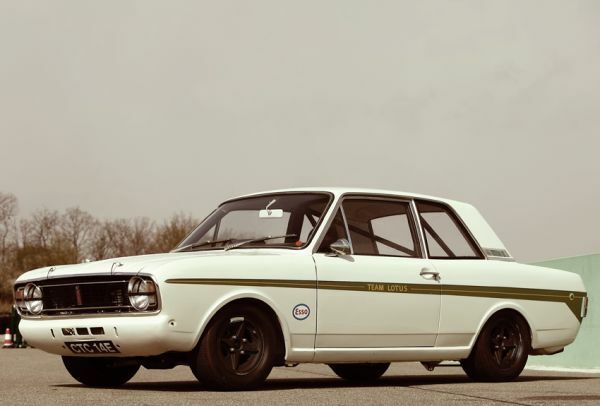 Miles H. Kitchen bought this MK1 Lotus Cortina in 1987 and restored it over the next 5 years, for Vintage Racing. Click the photo above (or the link) for more of the story, including pictures and a few paragraphs describing the "Hay Bale Incident". 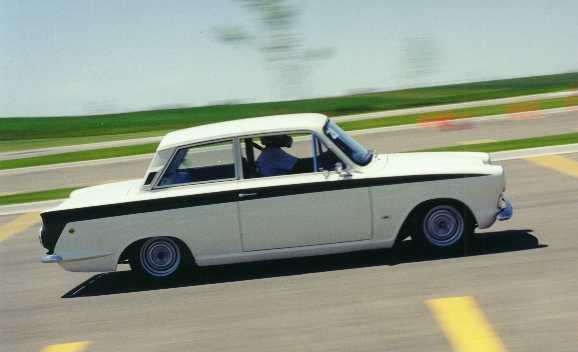 Lotus Cortina in the "Big Sky Country" of Montana, USA. The Life and Times of KGW 531D, now in Australia. Mike Drouin in his lightweight MKI. 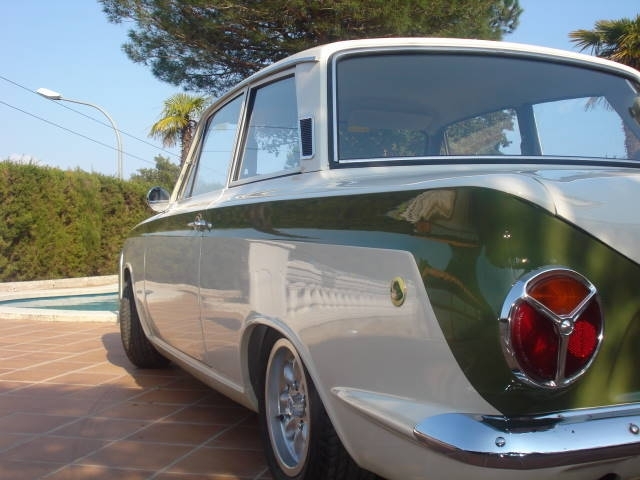 "Here's my favorite.......and yes I cut a real lotus cortina to make it.............It has the original roof and pillars and the rear section between the tail lights is also original... the rest is plastic. 20 years ago everyone was tired of the locort paint scheme............now everyone complains if it isn't white and green. (I have since re-painted it white / green.) In the picture, the gt-4 is going up the hill at Sears Point (now Infineon Raceway), California, turn two." 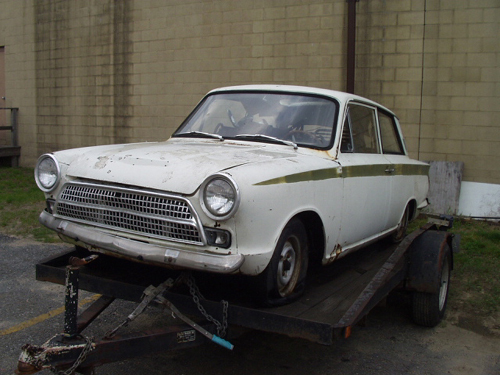 "I bought my car around 1968 from a fellow outside of NY City. He had run the car a couple of times in local club races. 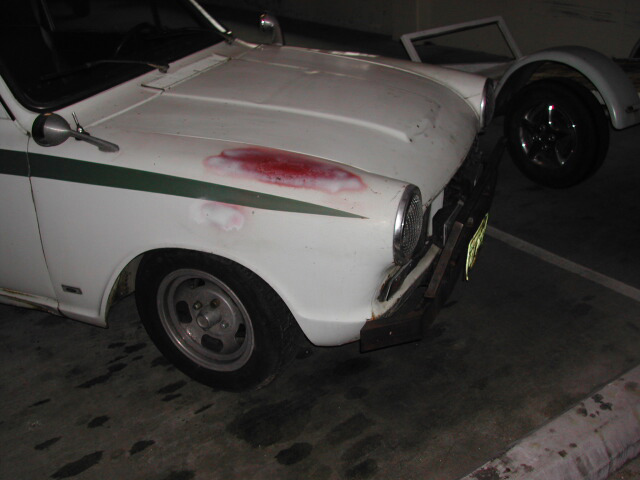 It had a bolt-in rollbar and a pair of J.A. Pierce alloy wheels when I got it. I drove it on the street for about 3 years, running in autocrosses. 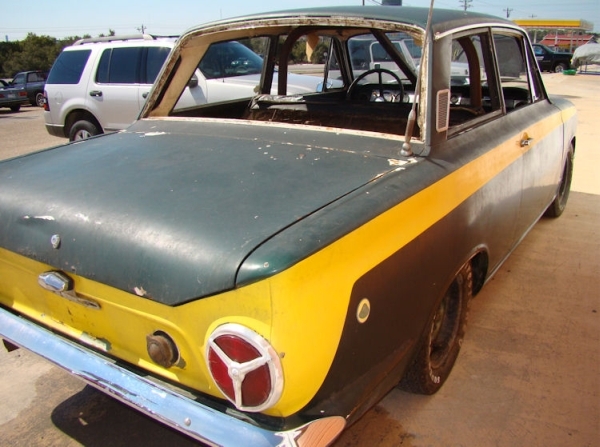 Around 1972 I stripped it out, put in a cage and went SCCA road racing with it. 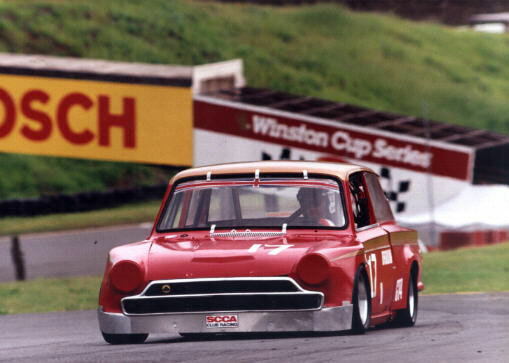 The car ran for 2 years - had one off course excursion with it at (s)Lime Rock which caused some body work. In the next race at Summit Point I broke a piston wrist pin. Happily the engine stayed together. Sadly, the bronze from the rod bushing flushed through the engine and took out the bearings. I rebuilt the engine and sold the car to a fellow in New Mexico (I was living in Pennsylvania), who I later heard had rolled the car and totaled it. The picture... [above]... was during the autocross phase and was taken at a go-kart track in eastern PA called Christmas Village." Bob Winkelmann driving the ex-factory "Green and Gold" 95 At Portland International Raceway, Portland, Oregon in July 2000. 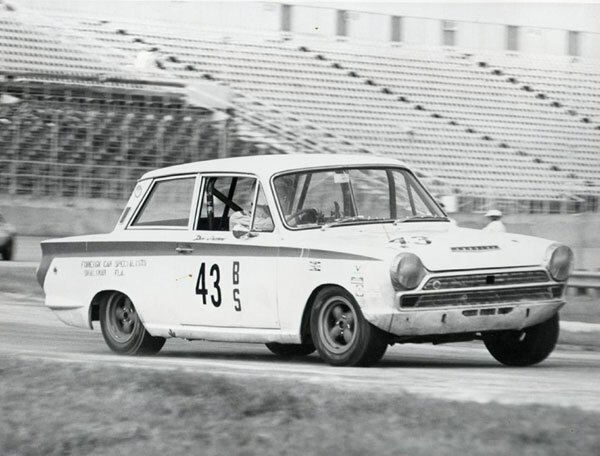 Bob supplied me a clipped-from-magazine-ad photo of a steel-wheeled racing Lotus Cortina, with a full story about the car's origins and history, connection to CJ Motors, transformation into a magnesium rimmed Trans-Am Series racer, and current status. Read the story! Mike Summers from Sacramento, California (USA) purchased this shell in the summer of 2002. It has since been shipped across the country from Massachusetts. Click the image above for more pictures and a bit of text.